As accountants become “prime targets” for hackers, a technology provider has announced the launch of a new cyber security service for accountants and financial advisers, and has confirmed a high profile hire to head up the new service. Financial services technology provider Midwinter has today confirmed the impending launch of Kamino, a cyber security service which will help advisers and accountants identify vulnerabilities in their current systems and provide guidance in protecting against potential cyber threats. The service, which Midwinter anticipates will be available to the market in the later end of Q3, will include vulnerability assessments, penetration testing and ongoing monitoring across all internal IT resources and systems such as shared drives, internal emails, client portals, social media and public websites. 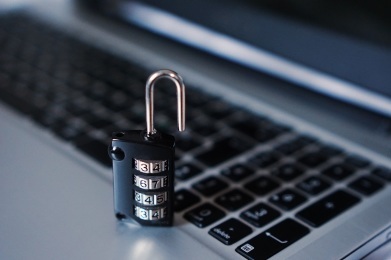 Midwinter managing director Julian Plummer said it is imperative that accountants and financial advisers take appropriate precautions in relation to information security. “Advisers and accountants spend a great deal of time ensuring they are compliant with ASIC’s regulatory guides, meet their obligations under the Corporations Act as well as trying to stay out of the crosshairs of the ATO, so it’s easy to forget about potential issues closer home,” Mr Plummer said. Midwinter has confirmed the appointment of Edward Li to head up its cyber security team. “Edward’s role will be to design and roll out our initial go-to market offering to ensure we continue to provide excellent service quality to our growing client base,” Mr Plummer said. Meanwhile, changes to the Privacy Act have recently been flagged as impacting accountants’ data breach disclosure requirements. “With the changes to the Privacy Act, businesses over a certain size will have to report any data breaches and if the privacy commissioner deems that they hold inappropriate security systems, then they could be fined $360,000 for individuals or $1.8 million for businesses,” said Karen McDonald, associate director of professional risks at Accountancy Insurance. Ms McDonald said these changes mean accounting firms must ensure they have sufficient security systems in place.